One of my favorite 4×4 ATVs is the almighty King of Quads, the Suzuki KingQuad. That’s why I was excited to be one of only eight members of the media to land an invite to Suzuki’s recent 2016 KingQuad intro at Highland Park in Cedartown, GA. This year’s KingQuad wasn’t completely revised, but received just enough updating to warrant an organized ride-test, but I felt as if there was a lot more meaning behind this particular outing. It’s no secret that Suzuki’s ATVs aren’t the talk of the ATV scene like they were a handful of years ago when “Serious about the sport” was proudly displayed on the back of the most impressive ATV race team effort in ATV racing history. The monumental LT-R450 is no longer made, either is the former hot-selling Z400. And if it weren’t for the Z90 youth ATV, Suzuki would have zero machines in its 2016 sport lineup. 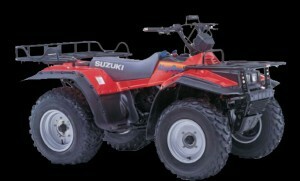 Combine this with no UTV effort and you can see how important the KingQuad is to the Suzuki business. As dreary as this sounds, Suzuki’s future is far from doom and gloom. After talking with ATV racing ambassador Rod Lopusnak my respect for Suzuki was further elevated as was my understanding as to why the lineup has dwindled over the last few years. Rod was recently promoted to Director of Operations and Head of Sales for both motorcycle and ATVs, this is about as high on Suzuki’s pecking-order as you can get, and Rod’s excitement for Suzuki’s future was as strong as it was back in 2003 when he convinced the higher-ups that it was time Suzuki returned to ATV racing, something it hadn’t done since 1986. Click to learn just how influential Rod Lopusnak has been to the sport. Furthermore, Tak Hayasaki, newly named President of American Suzuki made the trip to this small yet potent KingQuad intro and I happened to be seated next to him at our dinner outing at Ruth Chris Steakhouse. 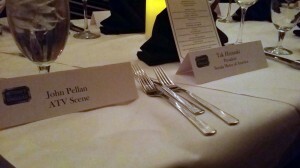 I had a blast talking with Tak and learned a lot about Suzuki’s current lineup, or lack of it. Tak is a very aggressive leader and seems to be determined to help Suzuki regain the kind of market share it held back in the sturdy mid 00’s when the entire industry was thriving. From the enthusiasm that I picked up on from both Rod and Tak, combined with what an outstanding product their omnipotent KingQuad remains I think that the last few flat years at Suzuki will be a thing of the past. 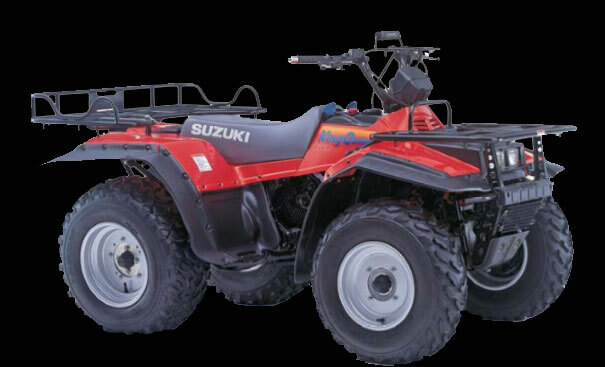 Suzuki invented the four-wheeled ATV back in 1983, with their LT125, created the first youth ATV with their 1984 LT50, launched the first two-stroke four-wheeler with their QuadRacer 250 and in 1987 created the first independent rear suspended ATV with their QuadRunner LT4WD. This machine was also the first ATV to offer a differential lock, and took the KingQuad name in 19991. 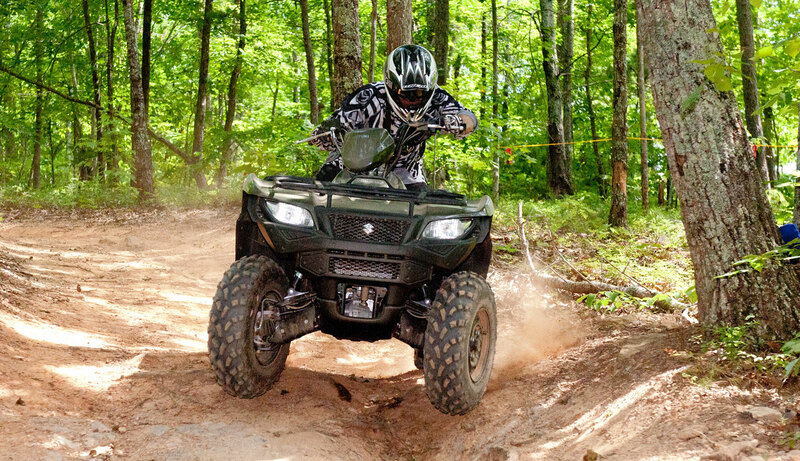 The desire for a strong running four-wheel-drive utility ATV that was chore-capable extremely reliable yet fun to trail ride on the weekend created the mission that became the KingQuad’s brand name. 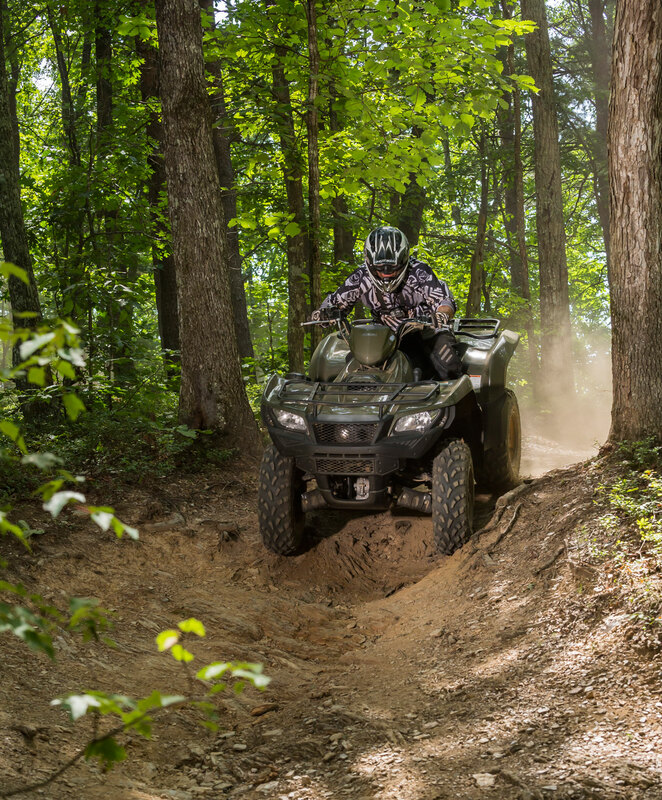 This focus has been incorporated into the design and engineering of every KingQuad ATV ever since the first one was built a quarter of a century ago. The ’91 KingQuad’s 280cc single cylinder 4-stroke engine would be pretty low on power now days, but back then, the first KingQuad was actually pretty innovative from day one. It had fully independent front and rear suspension and its transmission was way ahead of its time. It featured a High, Low and Super Low mode for all five speeds plus reverse and allowed the rider the ability to select two-wheel drive, four-wheel drive, or four-wheel drive with a locked front differential. 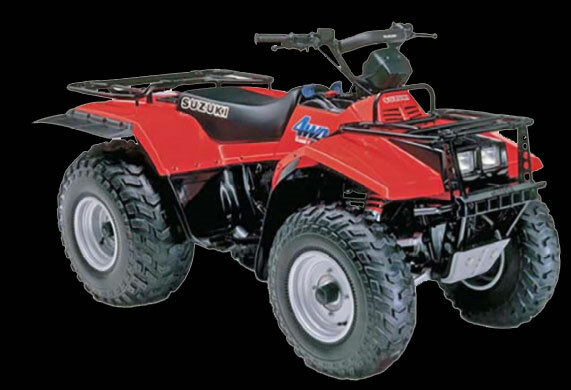 This unprecedented machine was the ATV that other manufacturers wished they had in their lineups. With a foundation this big, and a motto that reads, “Nothing’s Built Like a KingQuad” it’s no wonder the KingQuad has evolved into the extraordinary ATV it is today.